When Procurement and IT departments work hand in hand to improve processes throughout their organization, they have the potential to offer innovative and unique solutions for every area's technological needs. To achieve a healthy relationship, Procurement should be included regularly in IT meetings, listen to IT when measuring their success, share a contract calendar for all technology related agreements, and understand IT's threshold for risk. Procurement can also contribute by monitoring IT systems to identify potential areas for sourcing and savings, and ensuring these efforts are continuous so results may be continuous, because one conversation now will not offer solutions for issues of tomorrow. 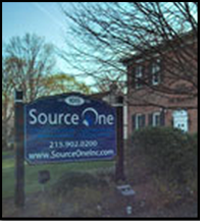 Recently launched online platform Palambridge features a select group of solution providers and consulting firms, including Source One, that include industry experts in specific categories of the procurement supply chain industries. These professionals can collectively offer strategic advise for capability development, tools and implementation support across a variety of procurement processes. Ideson explains in the second conversation of this two part series how he and Palambridge partner Kelly Barner of Buyers Meeting Point decided which firms to include in Palambridge based on their networks of leaders in the industry. Every supply chain must endure uncertain conditions, but many aren't able to identify what exactly that entails. Being capable of predicting and forecasting conditions or circumstances that can disrupt the supply chain is an important strength to possess when mitigating risk for your organization. Most often, we consider the potential of a natural disaster and the damage that will follow based on scientific predictions through modern day technology. Ultimately, the more data and information available, the better procurement can analyze these unfavorable circumstances. The best way to achieve the most information is through maximum visibility in the supply chain.